Cut slices of lamb off the leg. Put in a saucepan with 2 cups of water and powdered chicken stock or a stock cube. Add the chopped onion, carrot and black pepper (to taste). Simmer until the water has disappeared (around 20–25 minutes). Cut the potatoes up and fry them in some oil. Take out the meat and fry in a little oil with the garlic, coriander seeds and coriander leaves for 5 minutes, until the meat is brown. Squeeze some lemon juice over it. Put the meat and carrot in the middle of a dish, potatoes round the edge and decorate with sliced peppers. 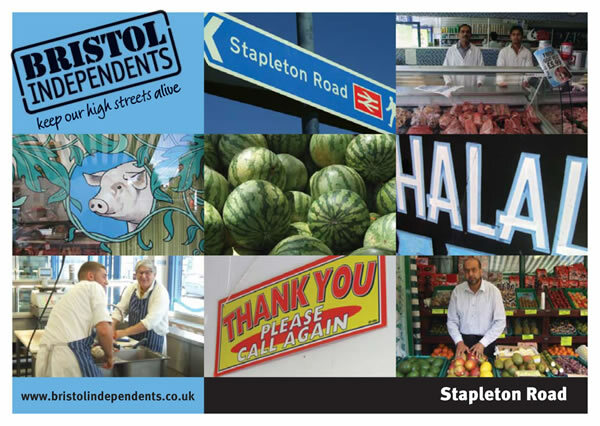 Where you could buy the ingredients: There are a great range of traders on Stapleton Road.